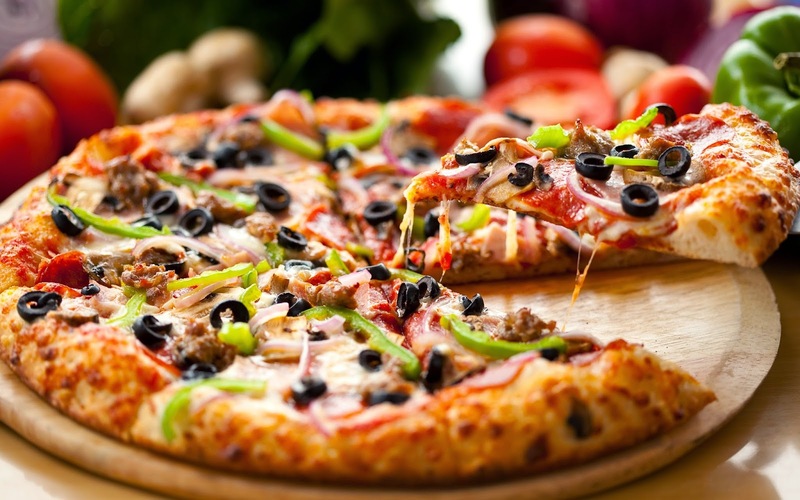 Veggie pizza is a tastiest crispy meal.I don’t think that there is anyone which does not like a pizza. Veg pizza is a most famous meal in all.Everyone likes to eat it.I used onion and capsicum as topping this before garnish use a oregano.You can also made this delicious yummy pizza at home.Enjoy this yummy pizza with sauce. Brush the bottom of base with oil and place with bottom side up on the greased tawa placed on high rack. Grill it for 3-4 minutes till crispy and golden. For tomato spread mix all the ingredients of tomato spread in a bowl and microwave for 2 minutes. Spread this tomato spread on each pizza base leaving the edges. Arrange all vegetables on pizza base. Sprinkle some salt and black pepper. Now, sprinkle mozzarella cheese on it. Grill again for 3 minutes. Before serving it,sprinkle a oregano on it and serve it with sauce and enjoy it.